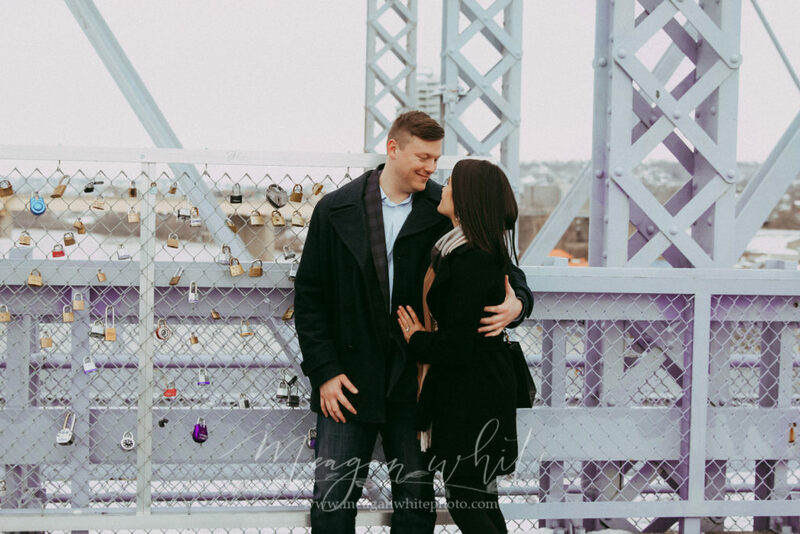 I think I could have been dressed in neon and dancing around, and these two still wouldn’t have noticed me. 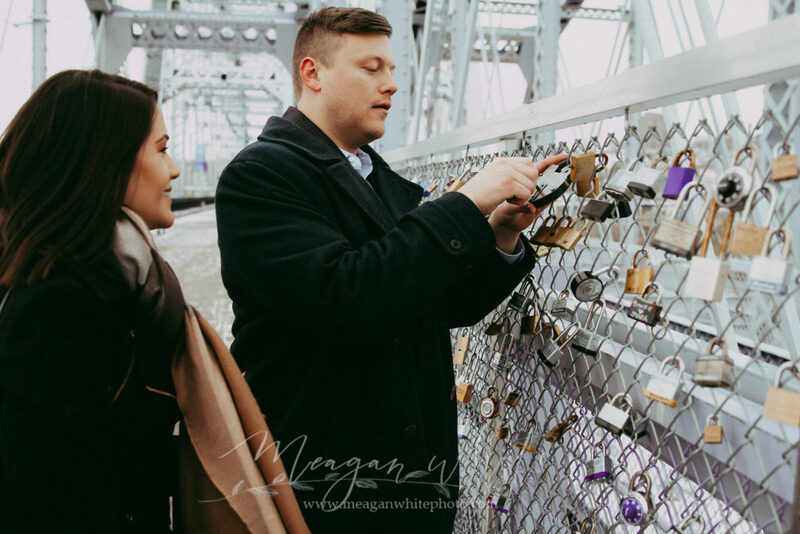 That’s what happens when you’re in love. 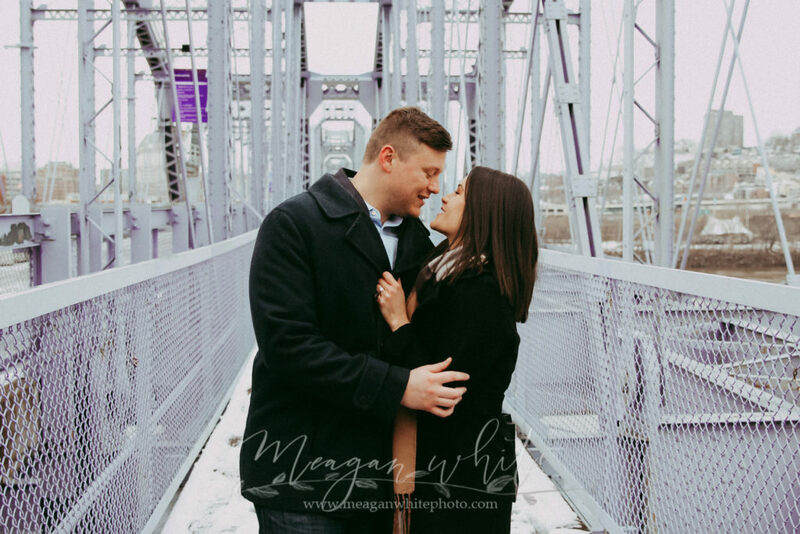 They only had eyes for each other. 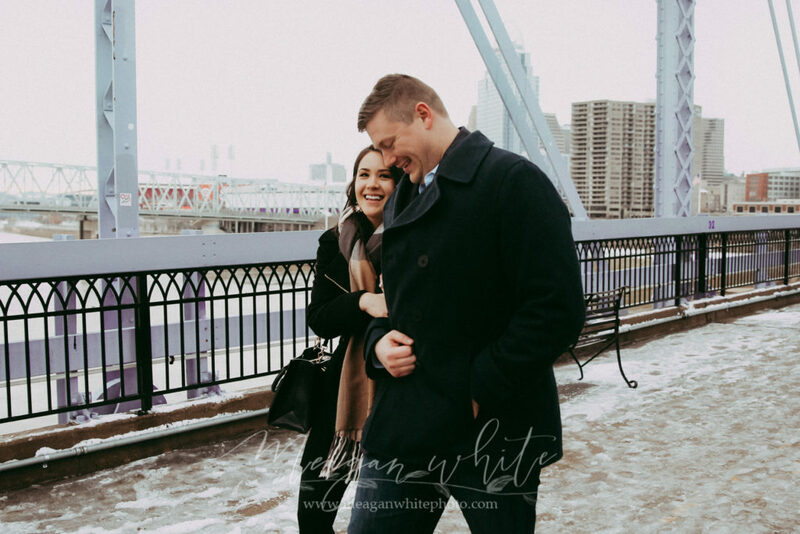 These are always some of my favorites… the instant when she sees the girl with the camera. 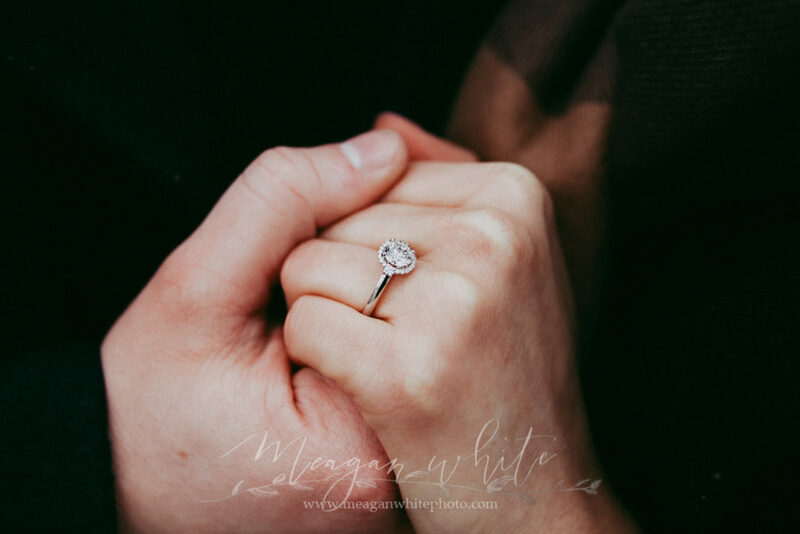 Andrew surprised Melanie with the sweetest gift, along with a beautiful ring. 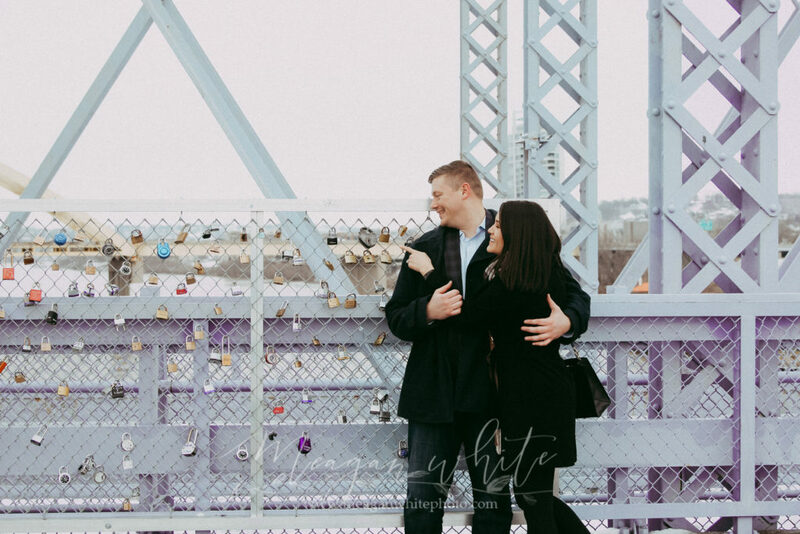 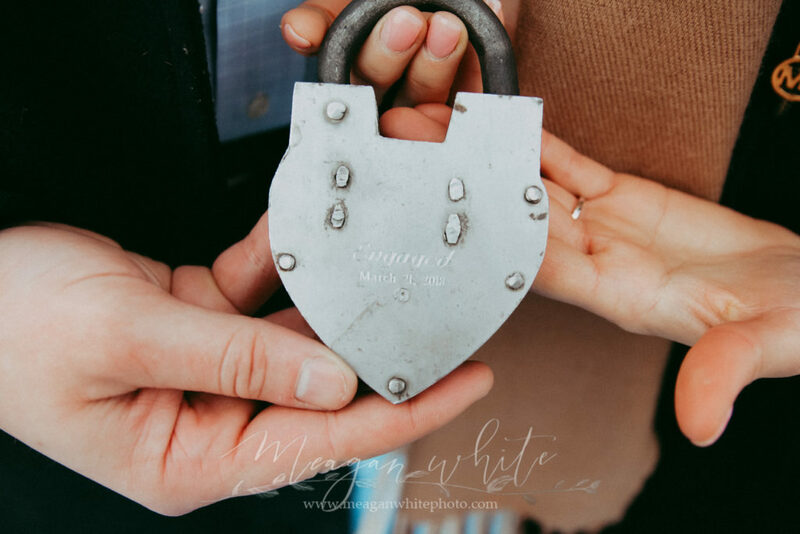 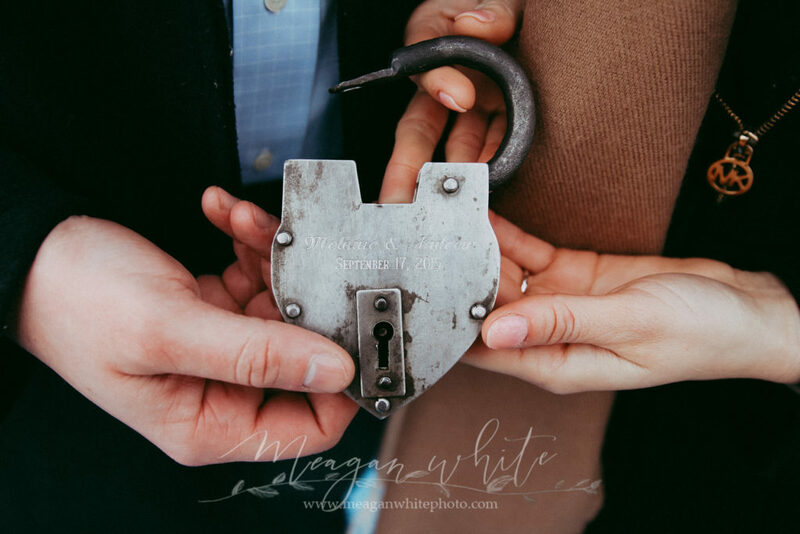 This lock has both the date of their first date, as well as the date of their proposal (which is how she realized what was about to happen as he got down on one knee). 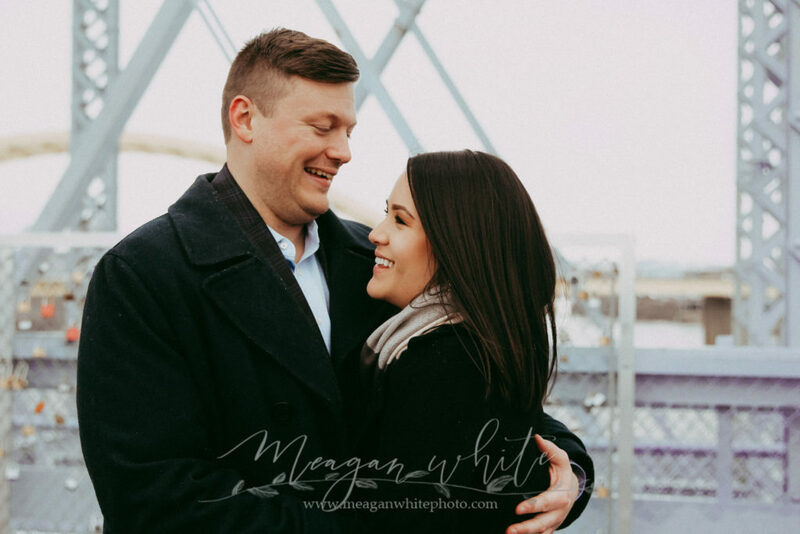 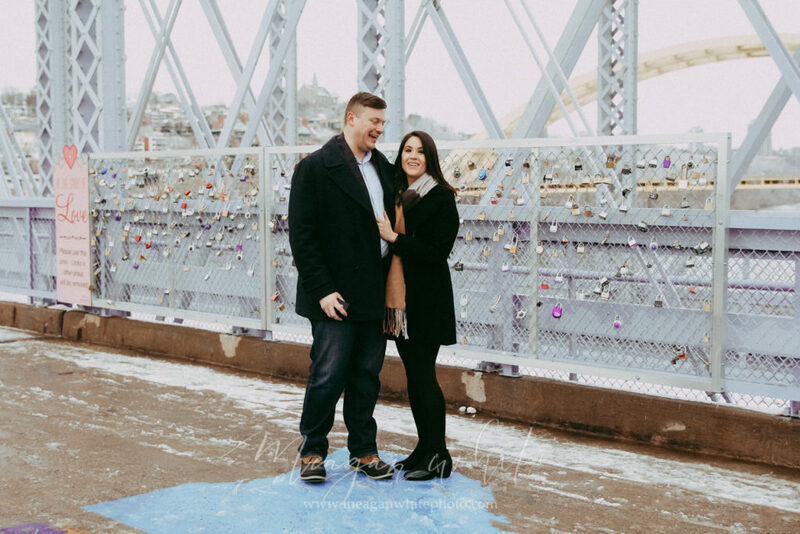 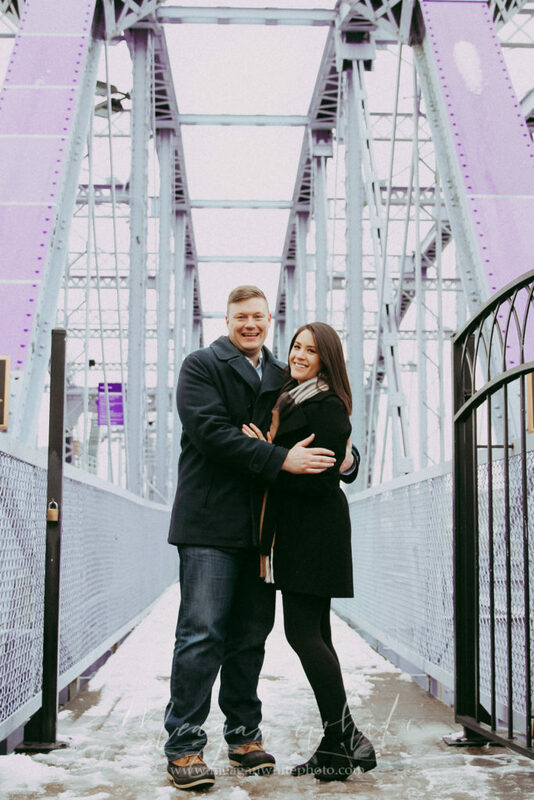 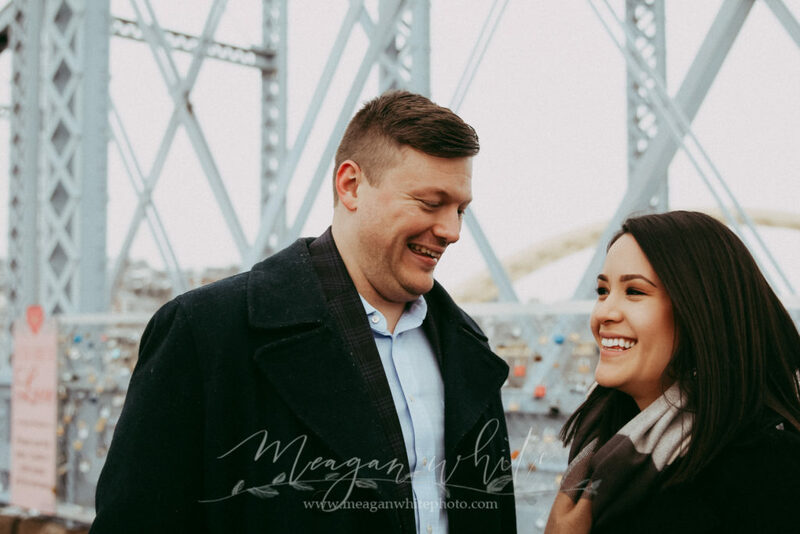 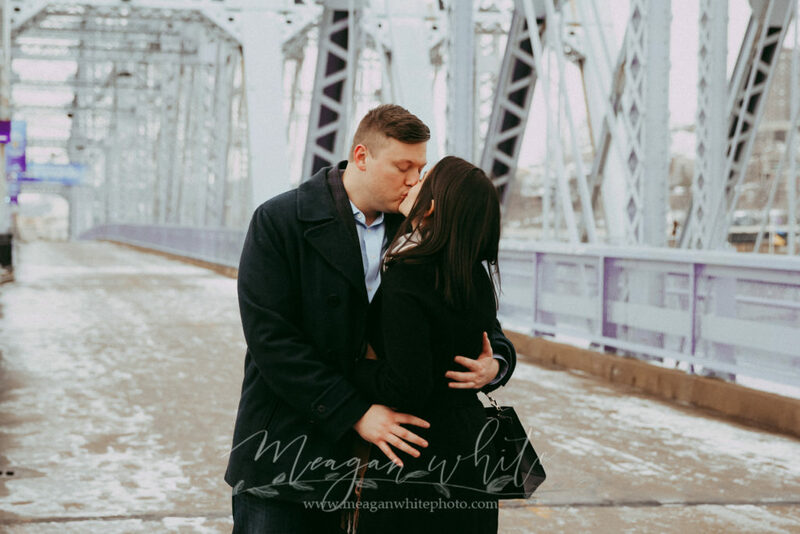 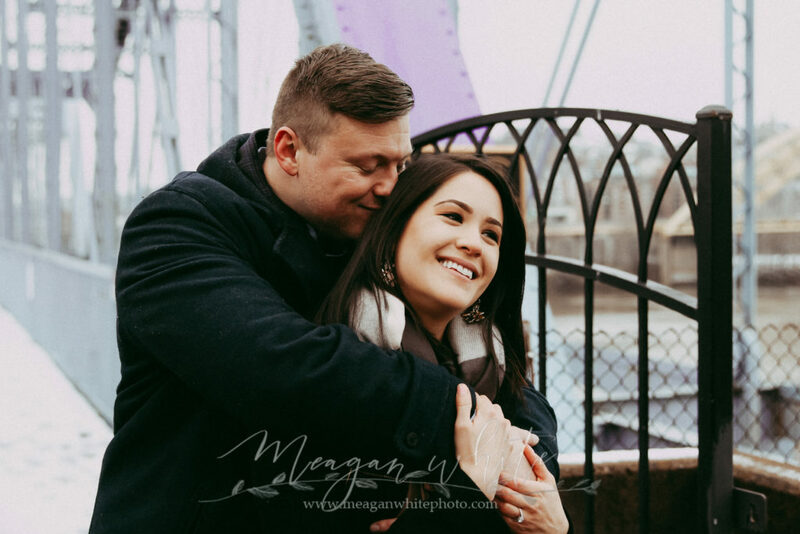 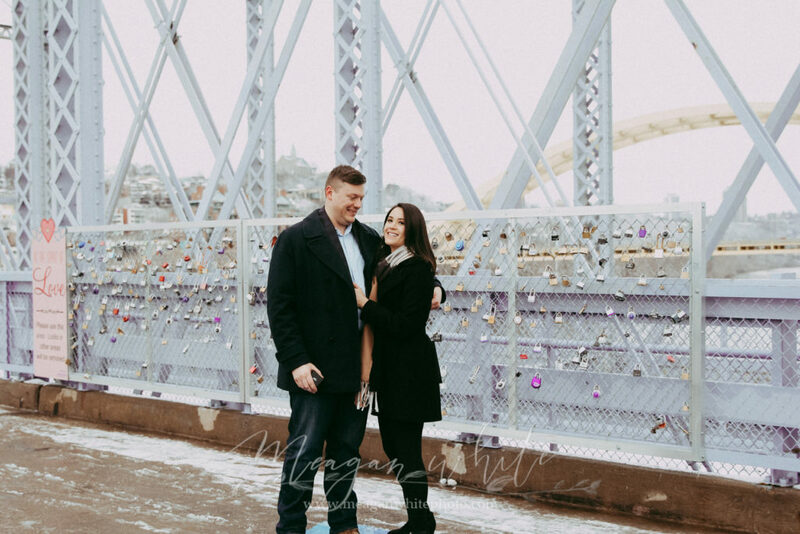 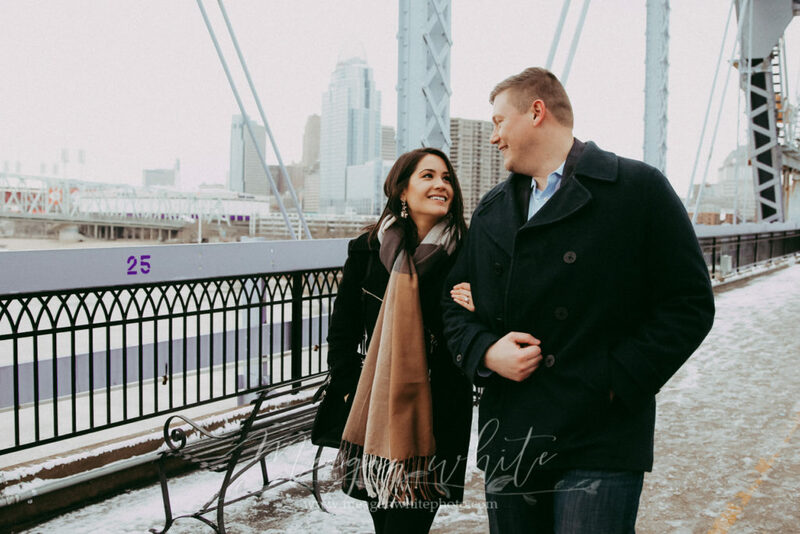 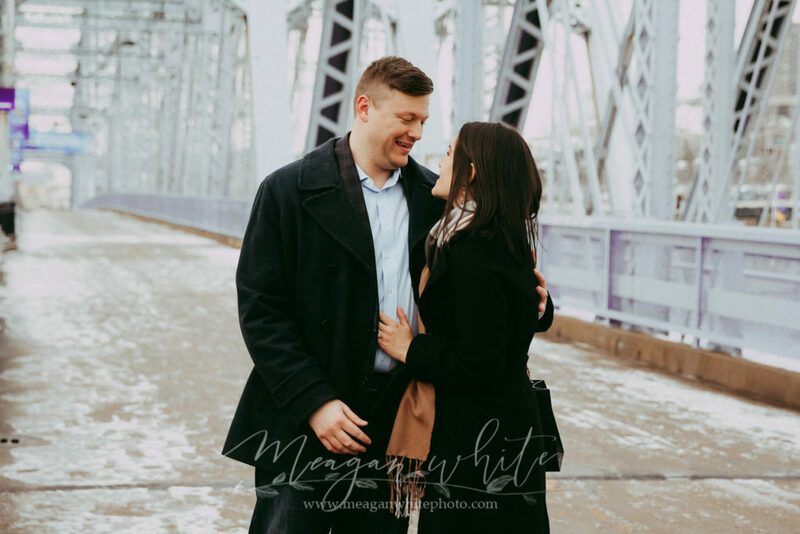 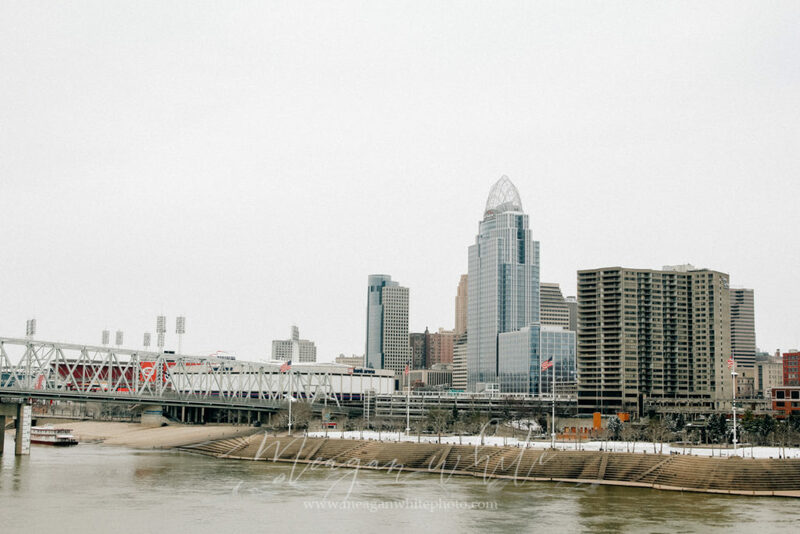 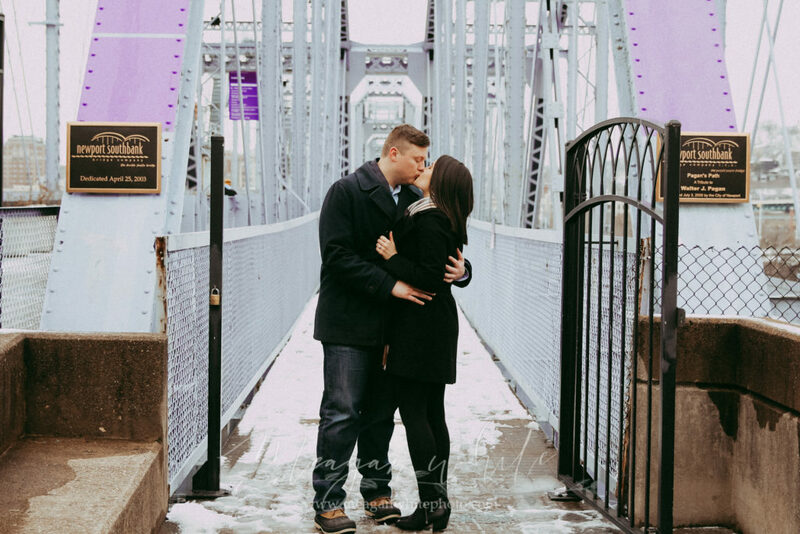 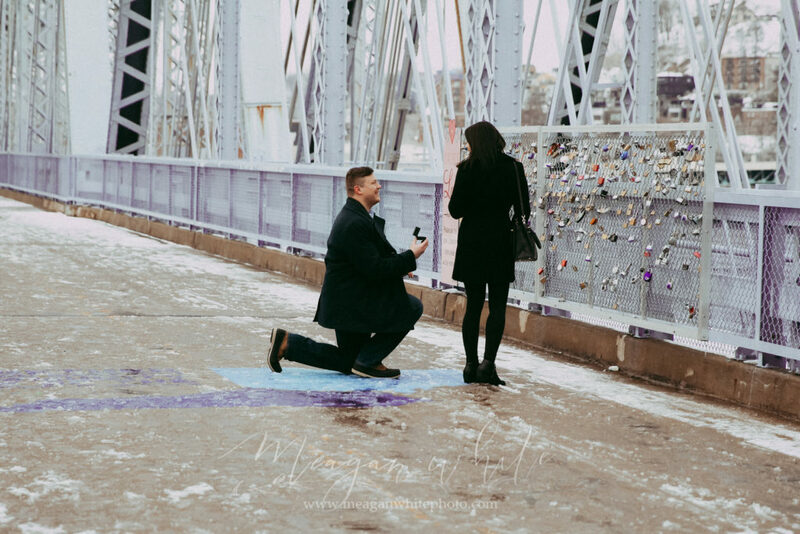 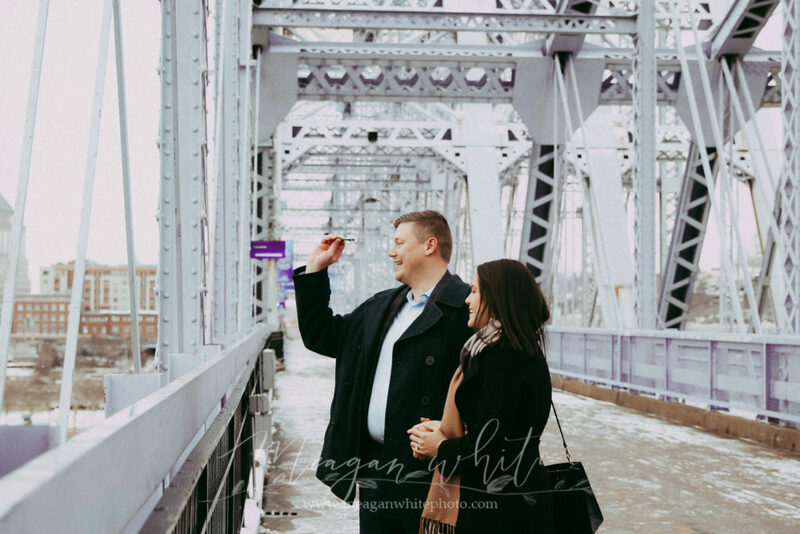 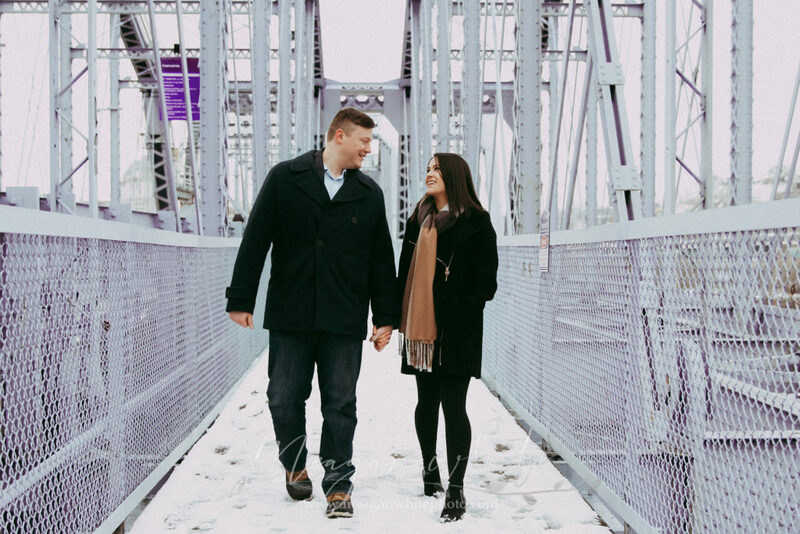 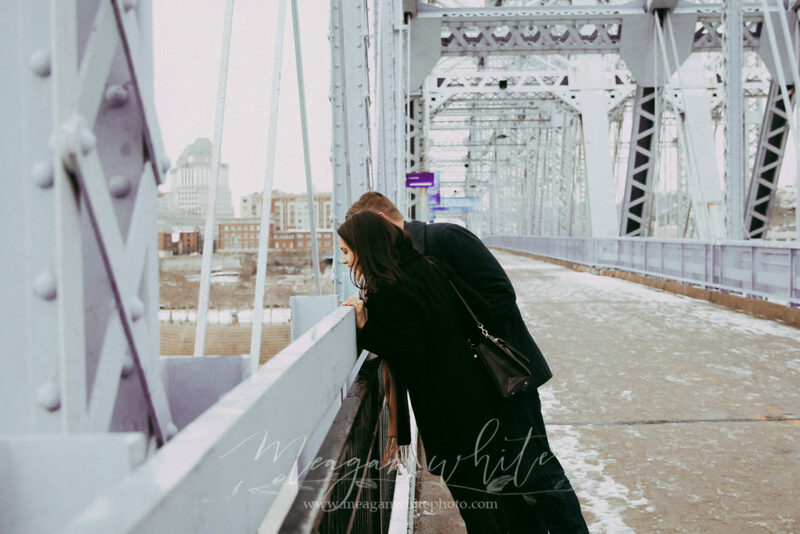 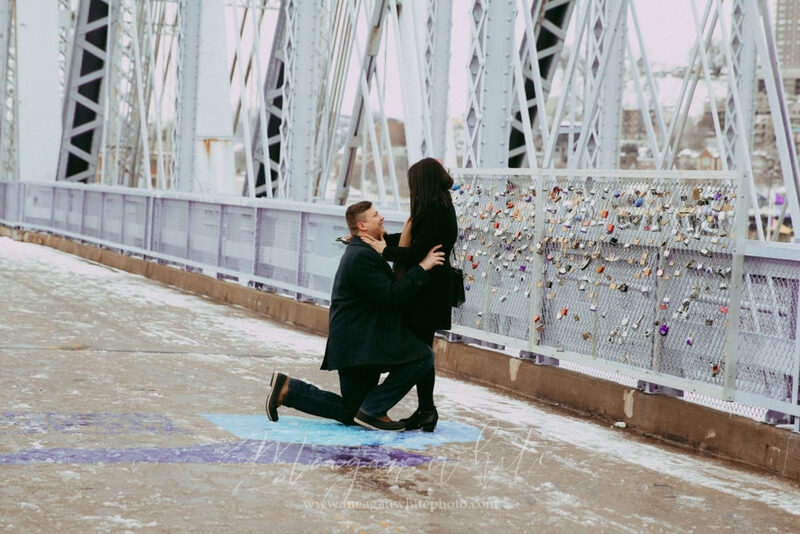 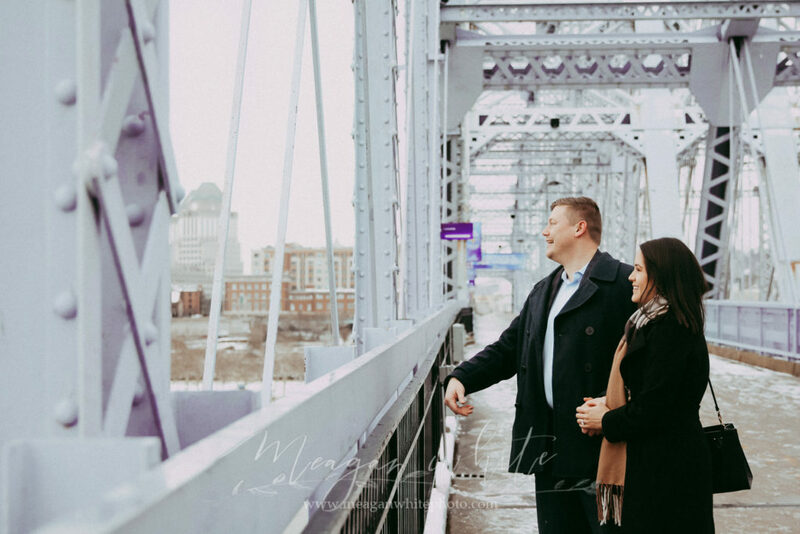 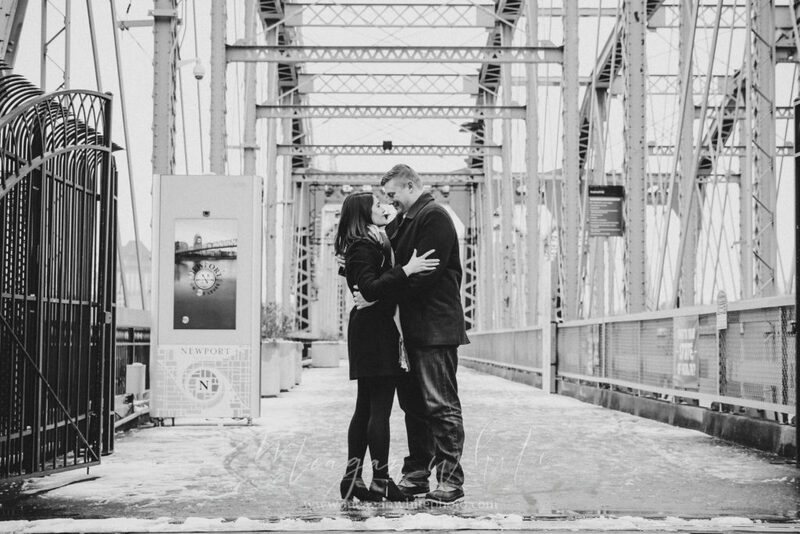 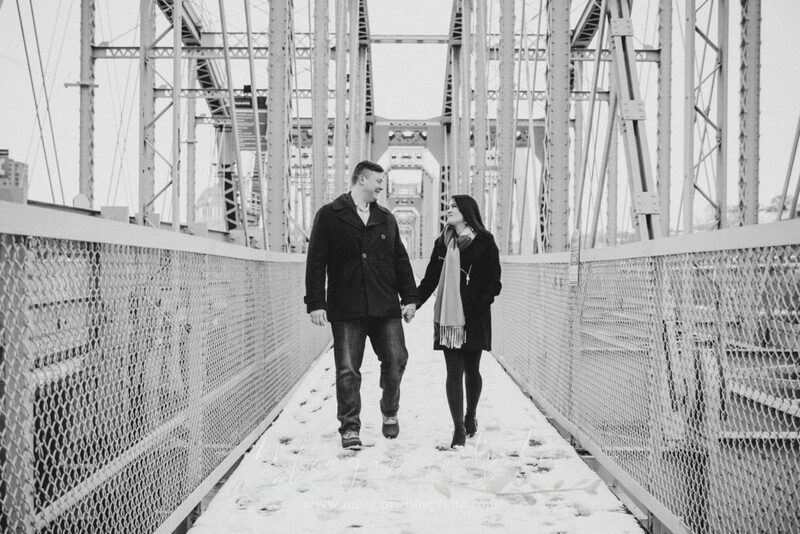 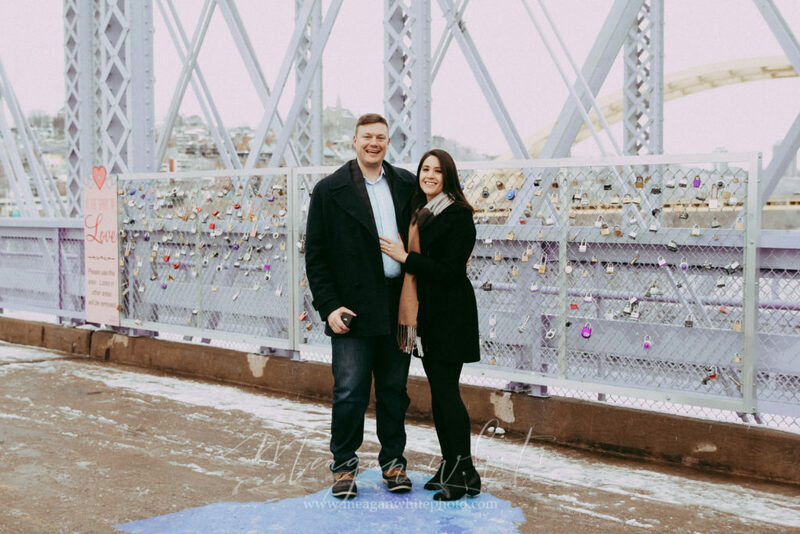 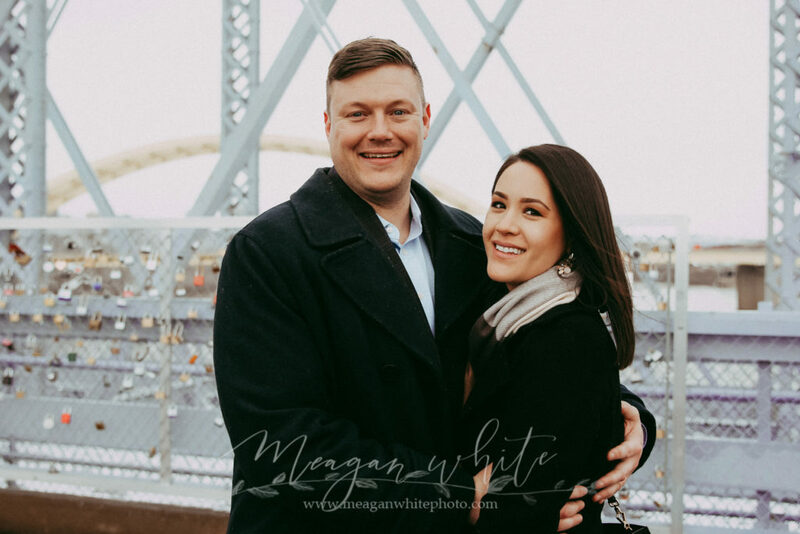 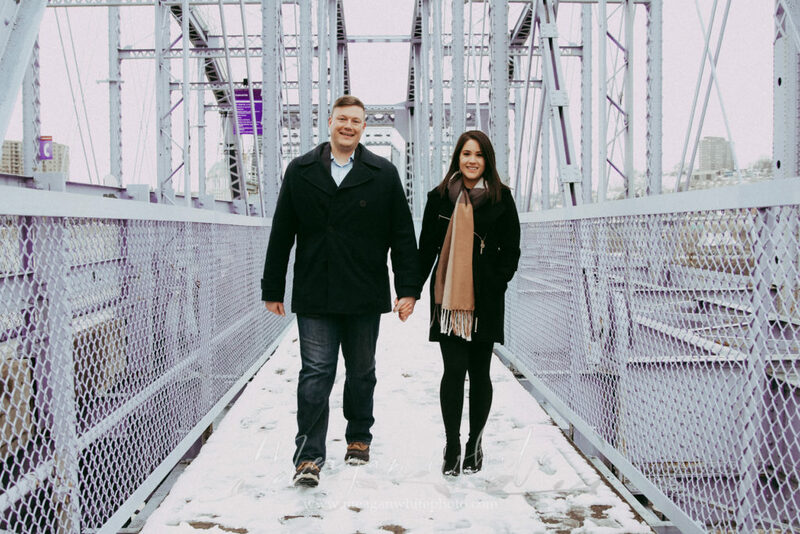 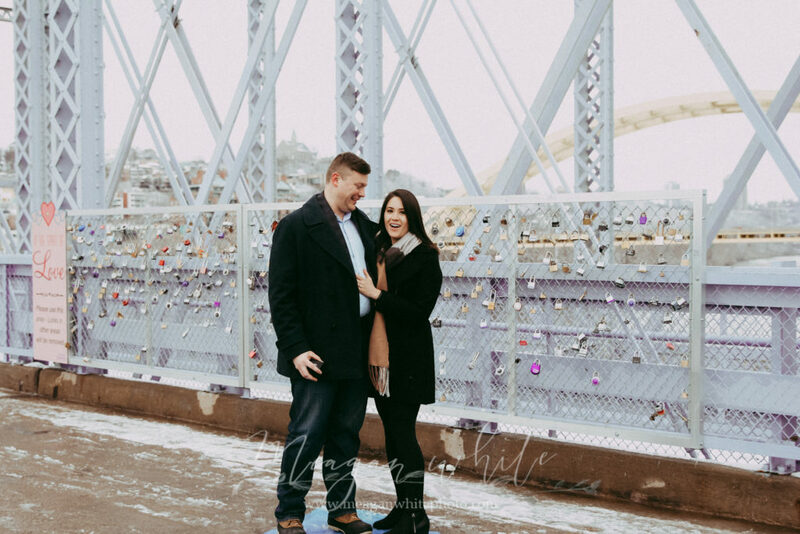 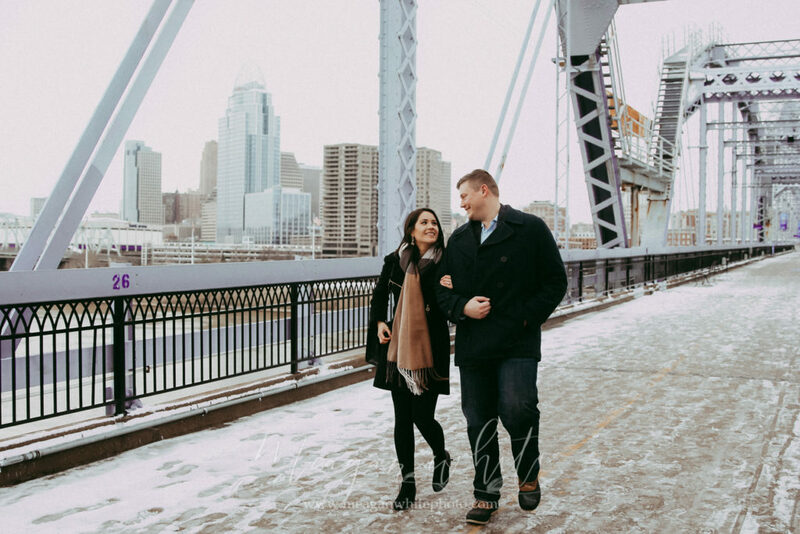 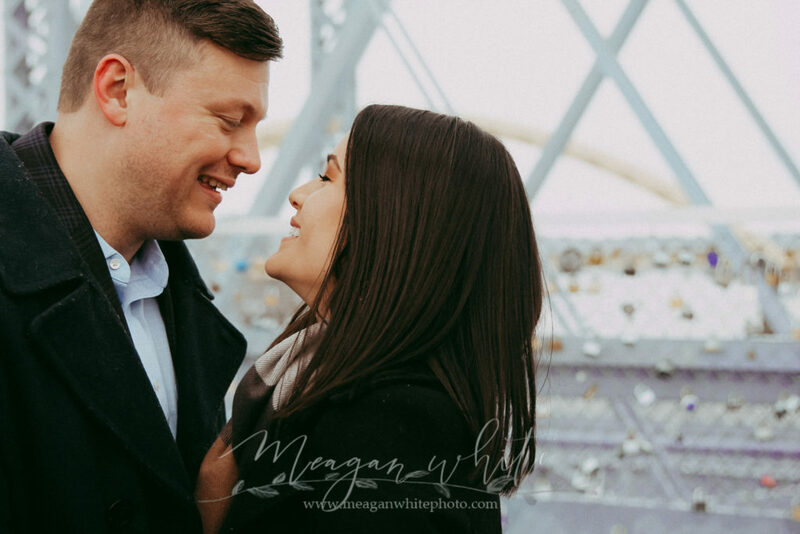 Every proposal is followed by a mini-engagement session – it’s a chance to revel in what just happened while having it all documented in photographs.